I've been meaning to watch He Never Died for many months now, ever since I saw it appear on Netflix. It has some horror aspects to it, though is more suited to the revenge or action genre with a dose of comedy that sometimes hits and sometimes feels a bit intrusive. Musician Henry Rollins (Wrong Turn 2: Dead End as well as a tonne of other stuff) stars as Jack, a loner who keeps himself to himself with a small routine that just involves sleeping, going to the local diner and playing bingo. However he has quite the secret, he is seemingly immortal which spells all kinds of trouble for a local gang who he gets involved against. With the arrival of a teenage daughter he didn't know he even had events take a turn for the worse and soon he finds himself on a kind of path of revenge. 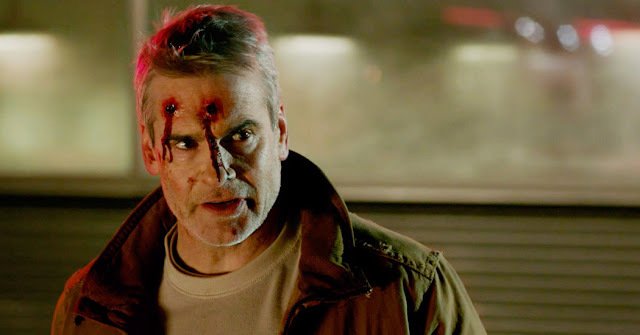 He Never Died is a mixed beast, at times the disparate themes gel together well, at other times they seem clumsily mis-matched with the tone a bit confused. Rollins is great as Jack, a strange character that seems to have no real personality or emotions to him at first glance. Jack is the personification of boredom and depression, with it hinted at him having quite the unnaturally extended life (the film begins with some audio excerpts from history to hint at this). This comes across in all his actions as he has such a resigned sense to himself, nothing surprises him, or makes him feel much of anything. Rollins does this for the most part by just not reacting much to the people he encounters, this lack of emotion made some of his scenes lose a bit of impact but it was good to see on occasion when the script calls for it he is able to show some feelings. It also helps that he looks like a power house. This then calls for the rest of the cast to play off of him, the most friendly we get to see him is with the interactions with his daughter Andrea (Jordan Todosey) and potential love interest Cara, even then a sense of him actually caring about these people is very minimal which leads to some decisions that would be very odd in similar films of this type (such as Taken). His interactions with the many bad guys are more different. The reason I mention this main character so much is that he is in every scene, nothing ever happens away from him. The problem with having an anti-hero who cannot really be hurt or beaten is that action scenes can seem rather one sided, there isn't even the usual later film plot device of someone who is able to actually be a formidable enemy. Jack sleep walks his way through every fight scene but these end up pretty cool looking. 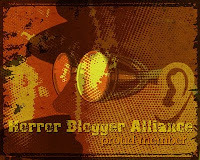 If the Terminator from the original film was slightly more human then Jack is who he would be. Every fight he gets into devolves into people trying to attack him and then realising they can't actually do anything to stop him. This is where a lot of the humour comes from, there are some great lines and I did chuckle at times, especially with some recurring characters who by the films end have accepted they can't stop him but still keep showing up, mostly to make funny comments as their colleagues get killed. Perhaps my favourite scene had a goon shot-gunning Jack in a club, the other people in the room wonder out loud who the goon was shooting at as Jack is just stood there so they don't realise he had been shot. Despite the comedy there are a lot of deaths, these are restricted to off camera a lot of the time, stylish shots of building exteriors with gun flashes and screams, on screen we don't ever see brutal violence, someone gets their leg twisted around at one point but no really over the top scenes. 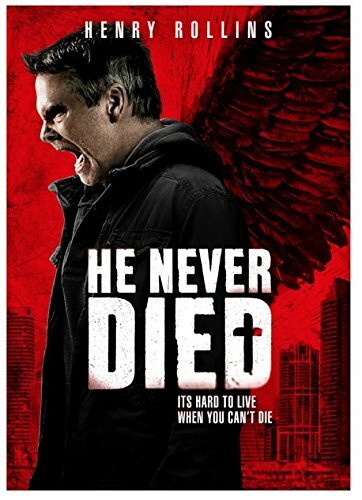 The horror aspects are fleeting and some of the weirdest parts of He Never Died. Jack seems to have some sort of demonic aspect to him, he has the need to drink blood and eat flesh to stop the voices in his head. The parts where he roars were a bit bizarre, he looked like someone trying to stifle a big yawn, thankfully these parts are few and far between, The choice was made to restrict Jacks past to descriptions rather than visual flash backs, the way Rollins says his lines though gives some weight to his past that some cheesy scenes wouldn't have done (a X-Men Origins: Wolverine style montage would have been awesome though!). Plot wise the explanation for this is interesting, it is a shame the character of Cara seemed only to exist as a way to convey to the viewer just what Jack is as this made some of her scenes feel a bit artificial. Also it was distracting at times how much crime Jack gets away with, he isn't even sly about it such as when he steals a postal van, or dumps a body in a dumpster. I get this was glossed over for the sake of the story but with such an inconspicuous guy you wouldn't think it would be hard for the authorities to catch him, something that isn't even hinted at during the movie. He Never Died has some fun, exciting action scenes, some genuinely funny moments and an interesting premise. However it never seems to know what it wants to be, with these moving parts not working well together at times. This feels like Taken if the main lead was inhuman, this leads to both good and bad moments as due to the character of the main lead it is hard to ever feel much towards him, neither repelling or thrilling, it all ends quite abruptly also it has to be said. As such while I enjoyed it and had my attention captivated by it it didn't stand out as an essential watch, if you do see it you will have a good enough time, I will say that much.